Eve lives in England and writes angsty, snarky and passionate Victorian era romance. She has National Trust membership, a big-boned cat, and a crazy dog. She loves wearing dresses and eating chocolate. Grace Alnott is out of time. To save her younger brother from an abusive guardian, her merchant father’s will demands she must marry a peer. Handsome but destitute Everett Hetherington, Earl of Westbury agrees to her offer of a marriage of convenience but stipulates she must live with him for six weeks. No matter how honorable he seems she can’t allow him to get too close, because the aristocracy cannot be trusted. Six weeks. Major Everett Hetherington, new Earl of Westbury, has exactly six weeks to convince the very independent Grace Alnott to spend the rest of her life with him. Despite her belief she doesn’t belong in his world, he must tempt the alluring Grace into staying, because he has fallen for her. Hard. He just has to ensure she never discovers his secret. Grace Alnott returns from finishing school to learn that her father is dead and has left her nothing but her dowry, a dowry she will only get upon her marriage to a peer. Her father named Lord Rayner as guardian to her young brother and expects Grace to marry him. Grace despises Lord Rayner, he is an awful man and she plans to petition the Chancery court for guardianship of her brother Henry. But to do that, she needs money. She makes it known that she is looking for a marriage of convenience and is willing to split her dowry with her new husband. Everett Hetheringon, the Earl of Westbury needs a rich bride. His father and older brother both neglected the estate and left behind huge debts, when his younger brother tells him of Grace with her dowry of 50,000 pounds, it seems like the answer to his prayers. He offers for Grace and learns that he will only get half of the dowry and she doesn’t plan to live with him. They make a bargain – she will live with him for six weeks and he will not take his “husbandly rights” – he agrees but he is not completely honest with her – he plans to seduce her into staying and claiming her entire dowry to pay off his brother’s debt. They marry and return to his estate, she doesn’t trust men and tries to keep Everett at arms length, she hasn’t told him what she plans to do with her half of the dowry instead she told him that she wants to be an independent woman and travel. But over the course of the first few weeks, they form a friendship and she tells him about her brother and Lord Rayner. He offers to help her with her problem, but still doesn’t disclose his plan to keep her entire dowry. He woos her with kindness and kisses. 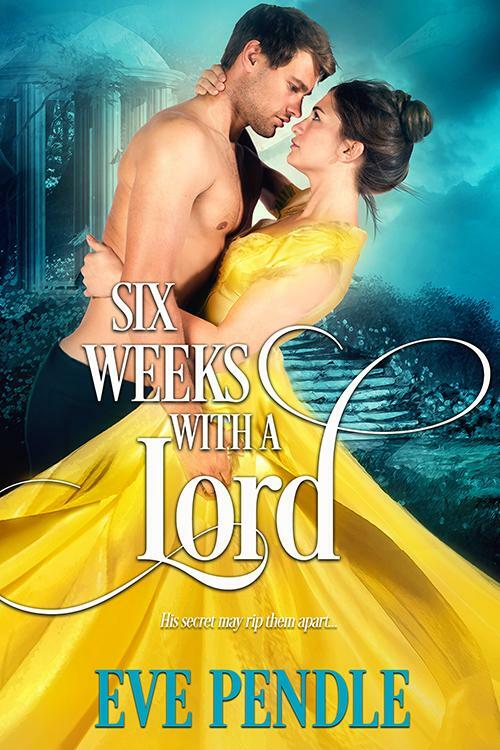 Grace begins to fall in love with him and thinks that he may be a man she can trust with her heart, and after a visit from Lord Rayner, she is sure of it. She decides to wait until the six weeks is up to tell him of her feelings, but lets him consummate the marriage. The morning after the six weeks is up, she is excited and in love, she wants to tell him and is just waiting for the perfect moment. But everything goes terribly wrong and Grace is heartbroken. Everett tries to explain and swears that his love for her is true, but he needs the money to pay the debt and thinks that is more important than getting guardianship of Henry. Grace decides to return to London and Everett doesn’t stop her. But a visit from his mother makes him realize what he has given up and what he has to do to win back Grace. But is it too late? This was a well written book that moves along at a steady pace, with likable characters, steamy love scenes, a nasty villain, interesting secondary characters and a true chemistry between Grace and Everett. I really enjoyed the book and would happily recommend!